AJ Moore's life comes down to one thing - discover the secret of the ancient stones to find her way home. Against a formidable foe, AJ and her new team of friends pursue a risky plan to steal the stones and the book that may reveal their secret. Then AJ must choose the promise of... read full description below. 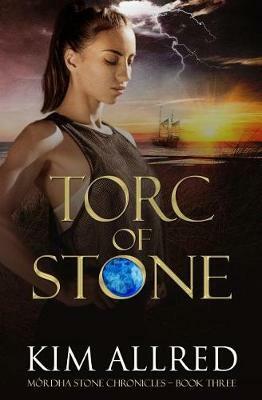 AJ Moore's life comes down to one thing - discover the secret of the ancient stones to find her way home. Unfortunately, her journey is far from over. The stones now reside in the hands of Finn Murphy's most cunning enemy, the Duke of Dunsmore. Against a formidable foe, AJ and her new team of friends pursue a risky plan to steal the stones and the book that may reveal their secret. If successful, the mission prevents a madman from coming into unimaginable power while providing AJ an end to her long struggle. Back in Baywood, two hundred years in her future, AJ's brother, Adam, and her best friend, Stella, attempt to put their differences aside to join forces in their investigation of AJ's disappearance. Journals, lore, and earrings made of stone lead the pair on a familiar trail - their only hope to find AJ. With the knowledge she sought within her grasp, AJ must decide between the promise of the stones or her love of the man who forever changed her life. AJ Moore's life comes down to one thing - discover the secret of the ancient stones to find her way home. Unfortunately, her journey is far from over. The stones now reside in the hands of Finn Murphy's most cunning enemy, the Duke of Dunsmore. Against a formidable foe, AJ and her new team of friends pursue a risky plan to steal the stones and the book that may reveal their secret. If successful, the mission prevents a madman from coming into unimaginable power while providing AJ an end to her long struggle. Back in Baywood, two hundred years in her future, AJ's brother, Adam, and her best friend, Stella, attempt to put their differences aside to join forces in their investigation of AJ's disappearance. Journals, lore, and earrings made of stone lead the pair on a familiar trail - their only hope to find AJ. With the knowledge she sought within her grasp, AJ must decide between the promise of the stones or her love of the man who forever changed her life. Kim Allred grew up in Southern California but now enjoys the quiet life in an old timber town in the Pacific Northwest where she raises alpacas, llamas, and an undetermined number of free-range chickens. Just like her characters, Kim loves sharing stories while sipping a glass of wine or slurping a strong cup of brew. Her spirit of adventure has taken her on many journeys including a ten-day dogsledding trip in northern Alaska and sleeping under the stars on the savannas of eastern Africa. Kim is currently working on her next books in the M rdha Stone Chronicles series and her sizzling romance series-Masquerade Club. To stay in contact with Kim, join her newsletter (https: //www.kimallred.com/contact/), follow her on Facebook (https: //www.facebook.com/kimallredwriter/), or visit her website at www.kimallred.com.